By far the vast majority of my macro photography images are taken in Britain, indeed I spend a lot of time searching for new species or trying to improve my images of the species that I have already photographed. One of my main targets for summer photography each summer is to get better images of British Butterflies. In Britain we about 10% of the butterfly species found in Europe, with 58 species of butterfly, although most of these are also found in Europe. Across Europe there are about 575 - 580 different species which come in all shapes, sizes, and colours. The smallest of these, and therefore the smallest butterfly in Europe is the Grass Jewel which has a wingspan of just 8 - 10mm. 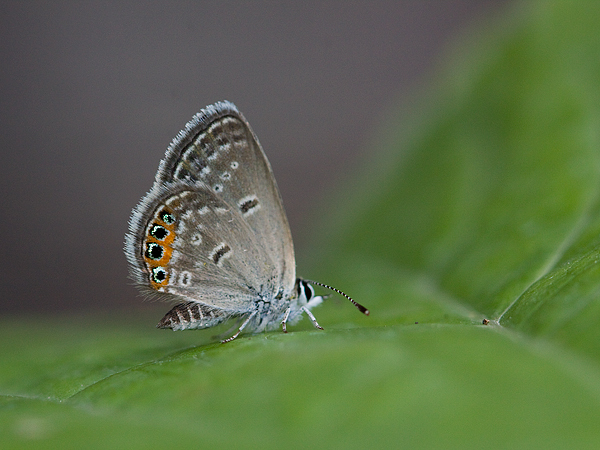 During a trekking holiday in Greece in September 2009, we found and photographed some of these tiny butterflies.